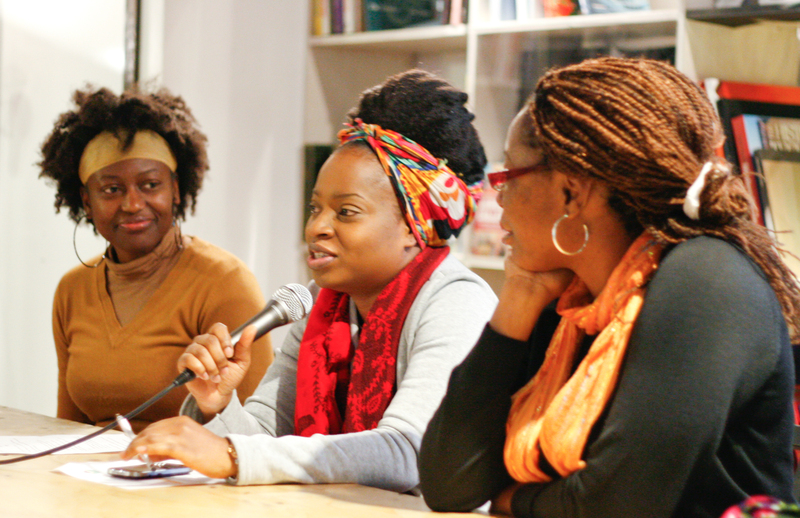 Last Saturday Accomplish Press and BlackandOutspoken hosted our first “African Literary Evening” @ The Proud Archivist in London. It was a great event, as we had in attendance: writers, readers, journalists, publishers, poets, bookshop owners, members of the press and people who love writing and literature, especially those who have an interest in promoting African literature to the world. 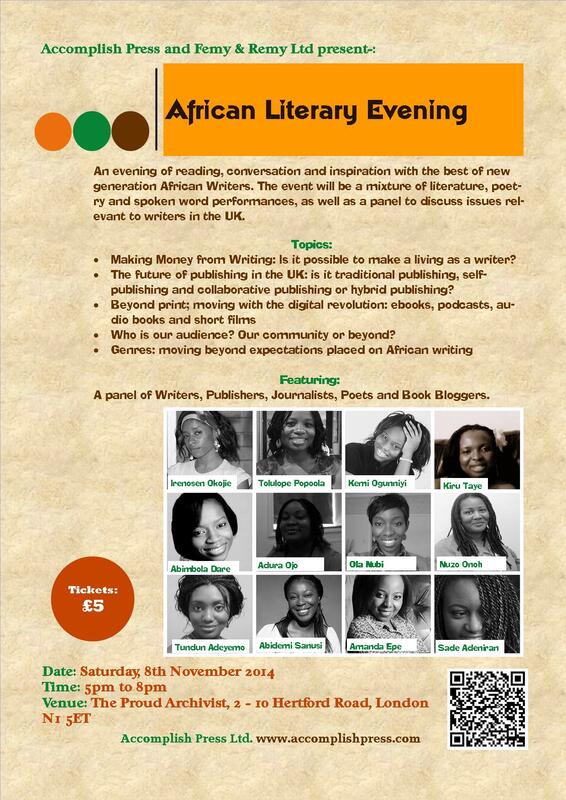 We had two panels discussing issues that are relevant to writers of African descent, based in the UK. The first panel coordinated by Tundun Adeyemo consisted of: Kemi Ogunniyi, Nuzo Onoh, Irenosen Okojie, Amanda Epe and Kiru Taye. They discussed topics regarding Genres, Reaching an Audience, and The power of Blogging as a means of building an author platform. The second panel coordinated by Tolulope Popoola consisted of: Sade Adeniran, Abidemi Sanusi, Abimbola Dare and Ola Nubi. They discussed issues such as Going beyond print to tell our stories, New and different routes to Publishing, and Making it as a full-time writer. The panel discussions were interactive with the audience, and we had great responses, interesting questions, thoughtful contributions and many useful suggestions about the way forward in tackling some of theses issues. In particular, many people in the audience talked about a shortage of good books for African children and Young Adults, featuring African characters, morals and storylines that reflect our background. This is something that Accomplish Press is passionate about, and we will be doing something in the near future to address this gap in the market. We’re already starting a new campaign titled “Get Young People Reading”. Watch out for more announcements about this programme very soon. Ola Nubi read an excerpt from her forthcoming book: “Love’s Persuasion”. It is a romance story about characters based in Nigeria. It will be published next month by Ankara Press. 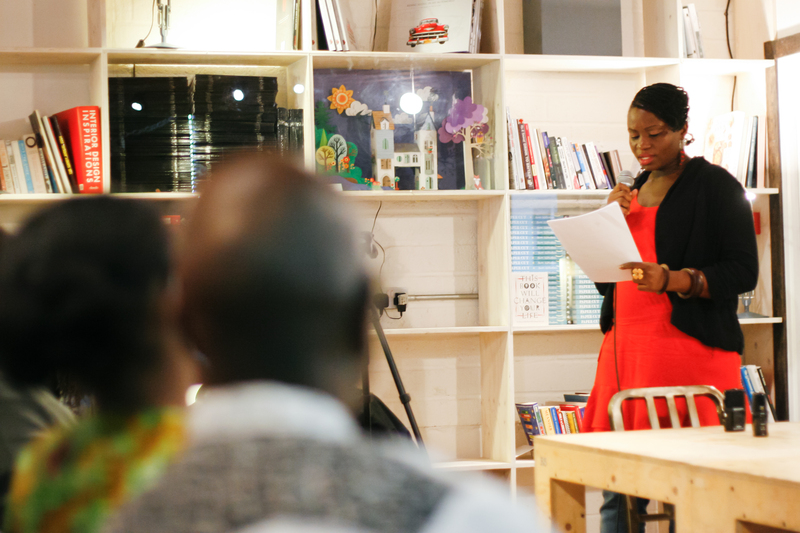 Sade Adeniran read a short story, one of the stories from her collection in the Sade’s World Podcasts. It was a story that reflected on a character’s reaction to being fired from her job on the first working day of the new year. 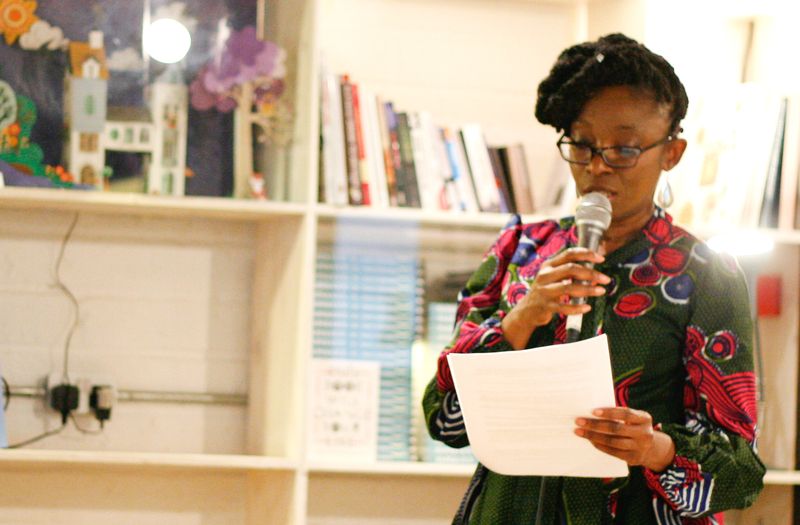 Tundun Adeyemo read a poem from her collection, “The Immigrant” which described the farewell moments at Murtala Mohammed Airport as a character was about to leave Nigeria to study in England. Tolulope Popoola read two of her flash fiction stories, one from her collection titled “Fertile Imagination” and another one published by Brittle Paper titled “The Alibi”. We would like to say a very sincere Thank You to everyone who made this event possible. To the panel, the guests, friends who helped in really practical ways, to Battabox, Nigerian Watch, Mr Babatunde David Adetoye, the staff at The Proud Archivist, AUK Radio and many others. We really appreciate your help and support. We intend to host another event like this very soon, we’ll keep you posted! Christopher Ejugbo – Do Africans Read? Thanks again for your support. More photos and videos will be available soon.